Compatible with netbook and 11"~17" notebook. Using dual 8cm silent fan. 3D of exhaused wind system in 4 positions with high performance. 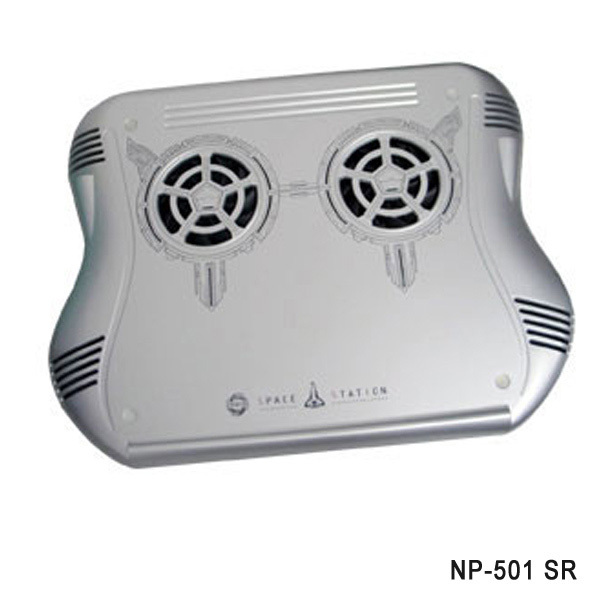 Big size of plastic cooling pad design. Compatible with under 17" NB. Using long life bearing of silent fan. Stylish design gets fashion and specific characters.